Our wonderful customers are the reason we’re in business. Here are some of the great things they’ve said about us. I rarely rave about contractor work but having just gone live with a 44 panel ground mount system by Urban I will. Great communication, on time, no nickel and dime, on budget and a great crew to work with. Professional all the way. I highly recommend Sean and his great staff. If you want more info I own Broadway Heights and Brooklyn Bridge. They made the process so easy! Sean got us a bid immediately and then went right to work. We had questions along the way and Sean and his staff answered them all immediately. We have been very impressed and highly recommend Urban Design Solar. Sean and team were great. Chose to go with them as they were responsive, complete, engaged, and motivated. Sean’s work ethic and connectedness made choosing them almost a no brainer. Install of 27 panels completed in a day with a full and professional crew. They were polite, accommodating, safety conscious, and knew their stuff. Love these guys. Their entire staff made the whole process very seamless. From the office staff who were extremely helpful, to the installers who were courteous, professional and did a very clean job. The owner Sean, made sure we were well informed along the way. Highly recommended. Sean at Urban Design is in the process of setting up solar at my home and at my business. Sean and his crew have gone above and beyond to be accommodating to my staff while working in the office. 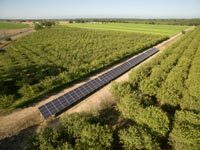 I am so excited to have this solar project launched and kicked off so I can update this review with how much money I’m saving now that we have solar everywhere!! I made sure to build a big enough system to ensure that i’ll create enough power to charge my new electric car too. From helping with the planning to implementing, all flowed beautifully, and they were really wonderful to work with. Prompt, courteous , reasonable, efficient, timely, and best of all excellent work! And their scope of knowledge and what they can do is huge! “Sean and his team were great! They were prompt, professional and courteous. They worked efficiently (with all of the proper tools at hand) and even totally cleaned up after themselves. I can highly recommend them for your next job, big or small. We used Solar Design last year to install our residential solar system. We did our homework before we decided on them. We heard about them through several coworkers. Their reviews were pretty consistent regarding their professionalism, competitive pricing, friendly office staff and how clean a job their installers do. They did not disappoint and we could not be happier. Leaders in the field. very knowledgeable about the programs and incentives to off-set the cost of installation, total pros. Installation was fast, clean and tidy. Highly recommended. When I decided to look into putting solar on my house, I first contacted several solar companies in the area to see who could offer the best deal. Sean from Urban Design Solar was the first to show up and had a design and bid for me within 24 hours. He answered all my questions and didn’t pressure me to to go with his system. All the other solar companies took weeks to get back to me and were way more expensive. After signing with Sean, his crew was able to start the job right away. Sean dealt with all the permits and worked with me on the design. Sean goes the extra mile to make sure that his customers are treated right. He also referred me to a few different lending institutions that offer great solar loans. Purchasing a solar system is a great investment as it can reduce your energy bill significantly and increase the value of your property. I have already recommended Urban Design Solar to my co workers as they are top notch. Thanks Sean and crew! I have been around Sean and the rest of the Urban Design Solar company for a few years and personally know several of their clients. The thing that separates Urban Design Solar from the rest is their customer service- they go above and beyond to make sure their clients are happy and get the best solar solution for their particular situation. Urban Design Solar is a very professional, community business that is a pleasure to work with and offer excellent pricing and workmanship. A triple A rating is not high enough. I recommend them for anyone interested in saving money by going solar. Hats off to Urban Design Solar, you’re the best. My hubby and I wanted our solar up quickly and the contractor I had been working with was not being responsive. I did a random internet search, looked up Chico solar contractors with decent reviews, and called a few. Urban Design was by far the easiest to reach and most professional. They gave me a thorough quote, quickly, and matched my contractors price (which was lower than others as well). 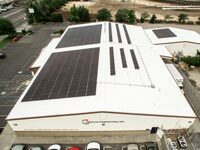 They provided a lot of options when it came to solar panels and inverters, but were happy to make recommendations and help me understand the choices. I signed contracts on Monday, May 2nd, and I had a system up and running with PG&E on May 13th… I didn’t even think that was physically possible. The work was excellent – my husband used to work as a electrician and he was impressed with how quickly and cleanly they ran lines and set up the meter. The workers were friendly and respectful of our schedule and home – my dogs even liked them. The professionalism of the entire office staff was exceptional. After the job was done they gave me a very helpful binder containing product information and warranties, which I really appreciated. Thank you Sean and Catrina for being such great partners in my energy project and providing us a great system that we are very happy with – we made the right choice going with Urban Design. Always my “go to” contractor. Dependable, honest, professional, and they do GREAT work! Excellent customer service, very professional. Thank you Urban Solar for making it easy to go green! Thank you for driving out and fixing my solar problem today Sean. Even though Solarmax had you install the system, they were the ones that sold it to me and you had no responsibility to service it, I was elated when I called you and you said that you would come out and fix it. Thanks again for taking extra time to trouble shoot my problem at no charge. It is up and running great now! I would give you five stars! Urban Design is the place to go for Solar. They have awesome designers, installers and great customer service. Sean and his staff are very easy to work with, we are so happy with our results! We love watching our solar panel spin backwards! Thank you for your professional work! Love Urban Designs! We couldn’t quite put our finger on what we wanted. Sean and his company came in, helped us develop a plan and got it all completed in a fast, efficient manner. Beautiful concrete work! We highly recommend Sean and his team. We’ve done many projects with Urban Design and no matter what the project, small or large, we’ve been extremely happy to have them. They’ve done everything for us: a kitchen hood install, to solar tube installs, hot tub deck, bathroom remodel, etc. They are always on time, on budget, and the make sure that you are happy with everything. My only reservation in sharing with everyone about how great they are is that I’ve now just let a huge secret out of the bag….. Thanks for the quick solar install! Would highly recommend calling UD if wanting to go solar. Sean at Urban Design completed a project at our family restaurant in Live Oak. Sean’s plans flew through the building dept plan check and work started immediately, Sean and his crew had to work during the night while we were closed and worked 7 days a week to get it completed quickly. That is one hard working guy, and he does nice work! Urban Design is one of the most dependable and honest contractors I’ve dealt with in 20 years in the real estate business. Inspectors, clients and I have been consistently impressed with their quality. I highly recommend Urban Design! Get your free quote today at 530.809.1079 or click the button to the right.